← National call out in solidarity with Tony Cox. The pensions of the staff at Scottish universities covered by the USS pension scheme are under attack. 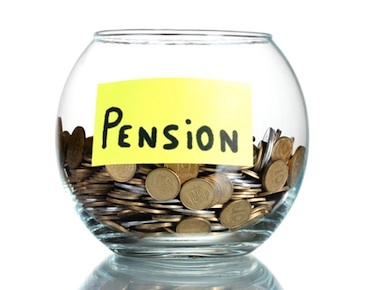 Staff with many years of service and who are preparing to retire are now being told that their pensions will be worth far less than they expected. This is unfair, and all education workers and students need to organize to stop this from happening. University management insists that the cuts are necessary because of the turmoil in the stock market and the current low interest rates. Management wants to shift from a system where those retiring are guaranteed a certain pension based on their salaries and length of service, to a system where staff pay a certain percentage of their income into the pension fund and then confront the uncertainty of receiving an indeterminate pension upon retirement. All of the risk is borne by the individual and none by the employer. Furthermore, rather than building solidarity, the system proposed by management forces each individual to try to figure out how to cope with a volatile and declining economy. Management says this switch will only impact staff receiving the highest incomes. Yet we know from bitter experience that cutbacks conceded in one part of an industrial sector quickly spread as employers pit each group of workers against the others. We join with UCU Left, an alternative voice within the union, in condemning the proposed contract negotiated by the UCU leadership. Instead of agreeing to cutbacks, UCU should be demanding that the government properly fund higher education, and that more full-time staff be hired. This would mean more younger staff paying into the pension system while also ensuring that class sizes are decreased and the quality of education is protected and enhanced. The UCU leadership has been unwilling to confront management. The marking boycott leaves many UCU members, who aren’t involved in marking, passive spectators. The union has a mandate for strike action but has consistently wavered, even calling off the marking boycott last year, leaving members demobilised and confused. What is needed is a militant union that will back up such actions with community outreach, rallies and marches, and a series of rolling strikes. It is important to realise that the attack on the USS pension scheme covering UCU members is a warning of future assaults on the pensions covering many of the other workers on Scottish campuses. If management coerces the UCU into accepting an end to defined benefit pensions, it will not be long before similar cuts are imposed on UNISON and Unite workers. UCU members need the support of other workers in campus unions. This dispute is not just between management and academics and support staff. Cutbacks hurt students as well. Students need to unite with all campus workers as they struggle to defend their pay, pensions and working conditions. These struggles are just another aspect of the fight against cutbacks. The government is eager to impose the costs of the economic crisis on to workers and students. We call instead for a program that taxes the rich to fully fund the public sector as one step in the creation of a global society based on solidarity and equality and not on competition and inequality.